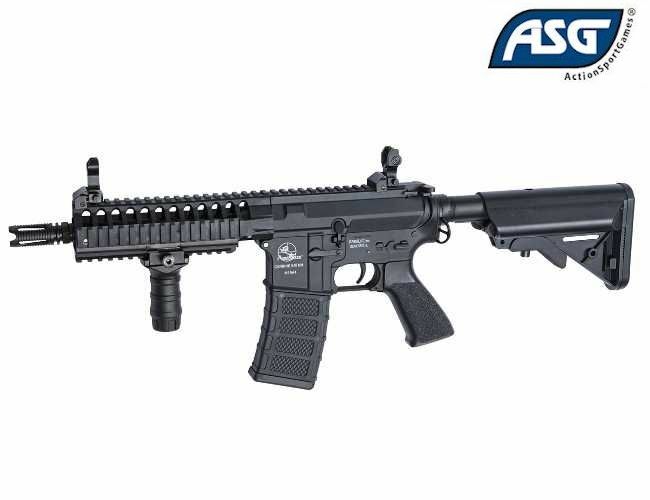 Has authentic Armalite markings and innovations to give the players more choice in design and functionality. The M15 Armalite comes with a Mosfet unit installed in the stock.The Mosfet gives a faster trigger response, better Rate of Fire and elimination of relay burnouts.It comes with 5 position SopMod stock, removable shoulder plate which will give quick access to the battery compartment. You will notice that the new Armalite offers 3 different upper receiver designs, 1 in metal and 2 in reinforced nylon fibre and 4 different front guards.This is the operator design and it mixes the heavy-duty designed receiver with a short rail for cqb.